The Government’s promised £6 billion over six years to tackle the country’s pothole plague won’t be enough to fix the huge backlog of road repairs, according to councils. Some local authorities claim it will take them £100m to complete work on the holes in the road that can wreck car tyres, wheels and suspension parts. A Freedom of Information Act request has revealed that in Leeds alone, £90-£100m is needed to complete vital road works. In Gloucestershire £86m is required and Islington in London needs repairs to the tune of £79m. Oldham council in Greater Manchester says its pothole backlog is £60m. Some councils claim they have thousands of potholes to repair. There are 6600 in Northumberland, 3200 in Plymouth and 1550 in Derbyshire. In 2013, 2,010,749 potholes were filled in England and Wales. Pothole plague: How much would it take to fix? Pothole plague: What’s causing it? The current pothole plague facing drivers is caused by a combination of factors. The recommended frequency of road resurfacing is 10 to 20 years. However, the AIA claims the average road is currently renewed every 68 years. On top of this the increasing regularity that utility companies dig up roads means surfaces are often patched. Freezing winters, floods and a relentless pounding from vehicles then causes these repairs to degrade and the process continues to turn small holes into larger car damaging ones. Pothole plague: What’s the true impact? 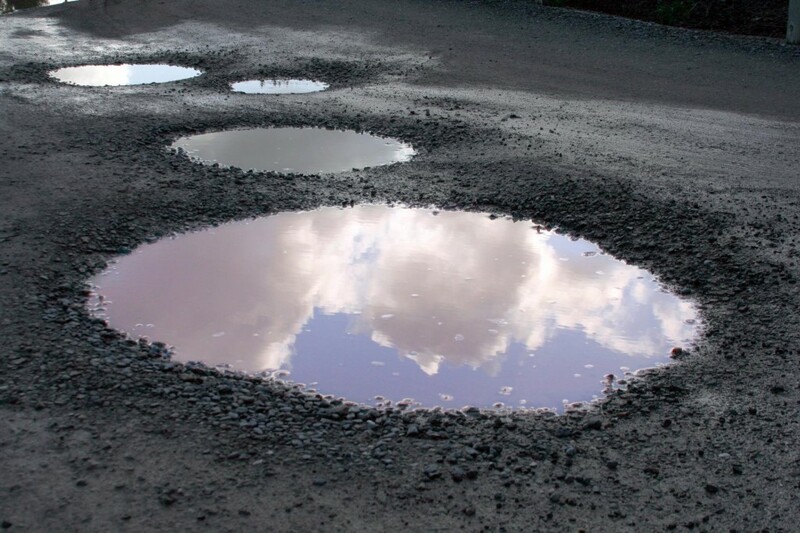 According to car guarantee company Warranty Direct, potholes count for a third of the mechanical problems on the UK’s roads and cost British drivers an estimated £2.8bn in repairs every year. Professional drivers suffer too. Mick Cash, general secretary of the Rail, Maritime and Transport (RMT) union, said: “Our members are repeatedly complaining to us that their vehicles are being damaged by the shocking condition of the roads. When you are a self-employed driver, if your taxi or truck is damaged and you can’t work it means that you can’t earn either.” It’s not just drivers who feel the effects. The AIA believes local authorities pay out more than £16.6m in compensation claims from drivers whose cars have been damaged by poor quality roads. For drivers, potholes can cause hundreds of pounds worth of damage to their cars. Click here to see how to claim against the county, city or borough council or the Highways Agency that is responsible for the road that damaged your car.